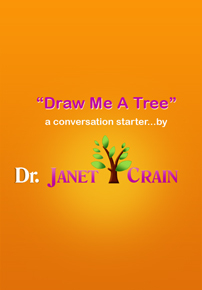 Draw me a Tree is a perfect icebreaker or social starter to create a great discussion with one person or a whole group. 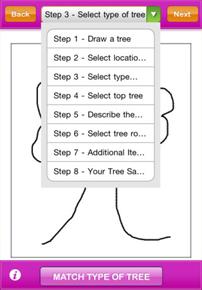 Using this app, all you need to do is ask someone to draw you a tree and allow the tree to do the talking. You will be surprised how much you discover about a person in less than two minutes. Even if you are one of those people who keep your fingers crossed that someone will come up to talk to you first, this app will work for you. 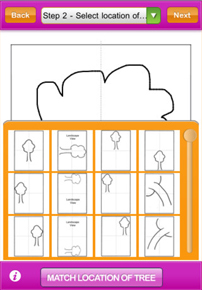 Your confidence and communication skills will soar as the app interprets the tree and reveals interesting aspects of the person. 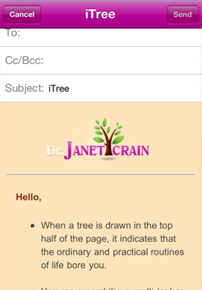 The explanation of the tree drawing can be a foundation for trust and communication, the basic ingredients for a meaningful conversation. No artistic ability is necessary for this to work and it is easy to e-mail the results to friends. 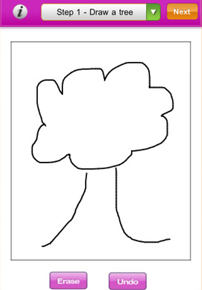 Draw Me A Tree is not meant to take the place of professional mental health counseling. 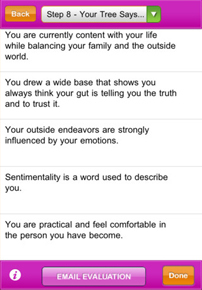 It is simply a very useful and entertaining tool to start a conversation and develop rapport.